Modern Android user interface and apps are likely to drain a lot of battery on daily usage. The battery consumption can easily be saved by tweaking the user interface usage. Google Play store has plenty of apps that can do this task for you. In this article, we are going to take a look at some of the top battery saving apps. When it comes to battery saving, there are many tweaks to achieve the desired result. However, none of the tweaks are permanent due to ROM and User Interface updates. Here we have some apps that allow you to do these battery saving tweaks to your Android device. This is one of the popular battery saving app on Google Play Store. Once installed, it gives you information on apps that make wake notifications and the tasks that are running in the background. Using this information you can kill these tasks or stop the apps in the background. This results in saving your battery over a period of time. The app doesn't require you to root the phone. So this is a perfect app for those who are not sure how to root the device, yet want to use advanced features in a simple way. The app is available free of cost to download and it doesn't collect any personal data either. 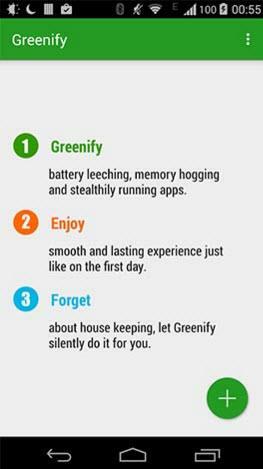 Give it a try if you want to save battery using a free Android app. GBM is a hands-free mode battery saver app. It has a lot of features that allow you to get more control over your phone. You can find out which apps are leaking more memory and takes more energy. It also pays attention to where data gets drained the most on a regular basis. And it lets you kill all the unwanted apps and the tasks in the background. The app pretty much guides you on every step to save your battery. All you have to do is just follow the steps in the app. The app has two versions - free and paid. The paid version has few additional modes and more controls for battery monitoring. The app was started as a modification add-on that controls multiple aspects of the phone. It gives you multiple options to make your phone faster. This also includes options to save battery using Settings that help you get the most out of your phone. You can control many background tasks, that drain a lot of battery. For example disabling Facebook and other app tasks in the background saves a lot of battery and also network data. The app also tweaks a lot of things apart from data and battery, so it is handy for those who want more control over their device. It is free of cost to download from the Android app store. Note: This app requires root access so only use it if you know how to root the phone. BS 2016 simplifies battery saving mode. It keeps a log of apps that drain the most memory and battery. And then lets you get rid of them one by one based on your requirements. You can also kill some background tasks with a single button. New updates have changed this app over a period of time. I'd say this app is very handy for those who don't want to invest much into learning about battery saving and other technical details. It is free to download on Google Play store. Another app that requires root access for device modification. It operates from the system level and allows you more control over the device. When you run this app you can go through every app that drains the memory. You can then get a choice to either kill the task or give it lower priority. App also shows you the amount of wake locks being done in the background by apps such as Facebook. You can then choose to kill such background tasks. It gives you more control over each service in the background. So though the app does not work as battery saver itself but using this app you can save a lot of battery drain. Note: Like Amplify this app requires root access too, so make sure you know how to root the phone before using it. 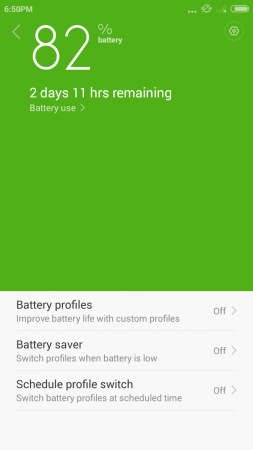 If you're using Xiaomi's MIUI ROM then you get the battery saver feature by default. This feature tries to hold your battery during inactivity. So if you're not using data and the mobile is kept idle, then it suspends background tasks. This way a lot of battery is saved over a period of time. Samsung has developed its own feature within the phone to save battery. The phone tries to save the battery even when you're using network or other graphic-sensitive apps. It does that by suspending other unused tasks. So if you are using phones from such manufacturers then you should use the default features instead of using an App. If you know how to root your device then you can do one of the following to save battery regardless of the Android version and manufacturer. 1. Remove non-system apps from startup. 2. Stop the apps from initiating wake locks and wake notifications. 3. Stop device from auto-updating. 4. Control the brightness of device manually rather than automatically for apps. There are many other tweaks that you can do to save battery. Most of the battery saver apps require root access in order to get control over the battery saving feature. So unless you know how to root the phone, you should avoid those apps. There are many other ROMs and apps that don't require root access to save battery. The above-listed apps should be more than enough for basic battery saver usage.